Right about now you’re thinking, what am I going to do this summer that will set this year apart from all the other? Okay, perhaps you don’t think like this, but you should. 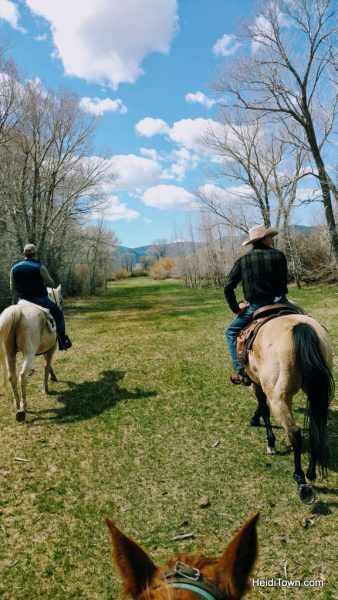 One trip that will truly set this year apart is a stay at a guest ranch in the Great American West. 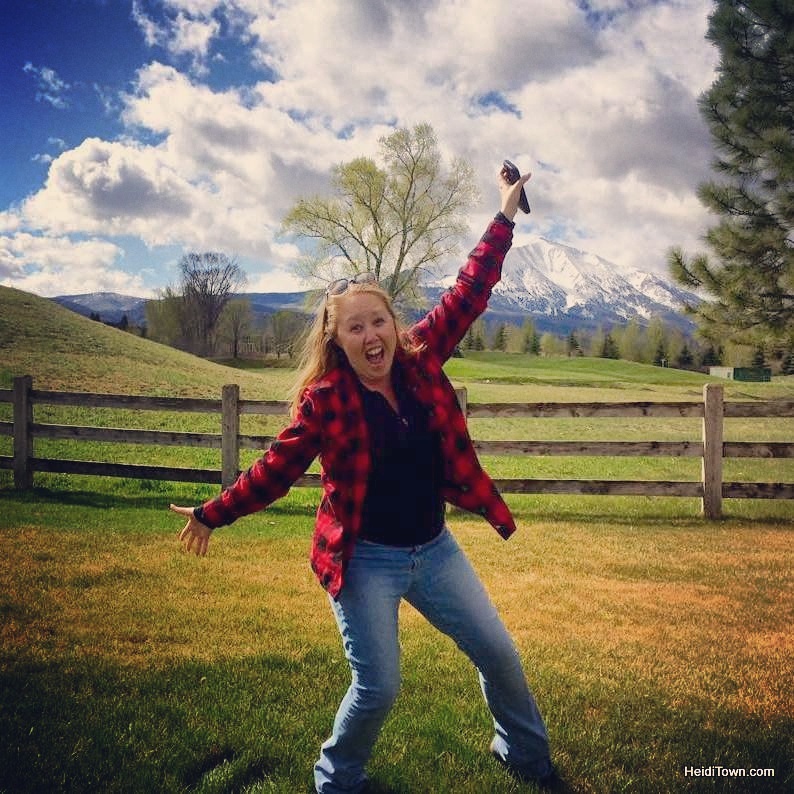 Last May, we made a memorable trip to Wyoming. It was my first time exploring Laramie and my first visit to a wild horse ranch. 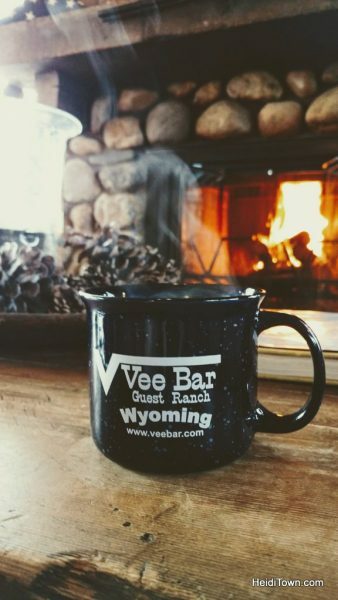 We stayed at Vee Bar Guest Ranch, a family operation based just west of Laramie. 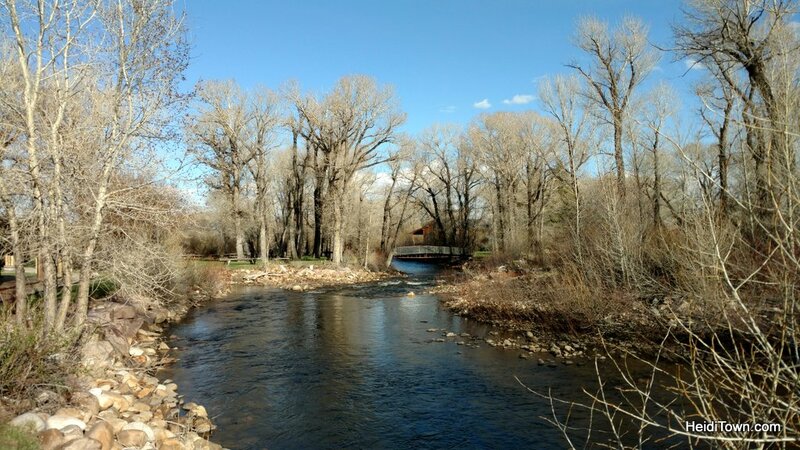 We were booked in a two-bedroom cabin at the end of a short line of cabin duplexes on the banks of the Little Laramie River. As we drove up, a fisherman was wading in the river directly in front of our cabin. We learned later that he caught 25 fish in four hours. A Vee Bar staff member had caught eight fish in one hour earlier that day. Obviously, this is the place to come if you are a fly fisherman. We spent the evening in Laramie but back at the ranch we poured ourselves drinks at John Wayne Saloon, the ranch’s private bar for guests. When it’s not during high season, the bar doesn’t have a tender so you pour your own from a full bar selection and write down what you’ve had so Vee Bar can add it to your bill. The honor system is alive and well in Wyoming. We played some nineties country music on the jukebox that is hooked up to something akin to XM Radio. A little known fact is that I know every word to most nineties country music songs which amuses my husband to no end. As a girl who grew up in a town of 5,000, I feel this knowledge is a badge of honor. John Wayne Saloon is a nice addition to the ranch. In addition to a bar and tables, there is a pool table and games. I never did discover which owner loves John Wayne, but his name isn’t only on the bar, his likeness appears in photos throughout the property. I think John Wayne would have loved this ranch. Breakfast is probably our favorite meal of the day, and breakfast at Vee Bar is delightful. We arrived at the big, bright breakfast room to find a huge crackling fire in the fireplace. I spied two dogs outside, so of course, I went out and got in some morning dog-love. The Vee Bar breakfast buffet included fresh fruit, bakery items, eggs, sausage and cereals, and yogurt. Of course, there was hot, delicious coffee too. Brent Kilmer, He and his wife Kari are your hosts at Vee Bar Ranch. Bailey, Brent and Kari’s daughter, is 9-years-old and may join you on your trail ride. I hear that she rides like a pro and can help your child overcome their fear of being in the saddle. After our morning meal, we wandered down the wooden riverwalk to our cabin. 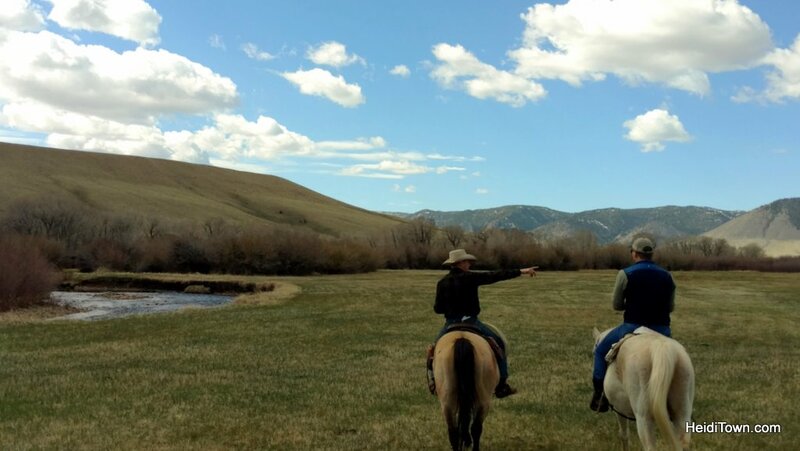 Next up was our trail ride with Brent, one of the ranch owners. I have been on a lot of trail rides but I can honestly write that Brent gave us the best riding tips we’ve received. He even gave Ryan a short trotting/posting lesson in the arena. I rode Ruby, a cutting horse, and Ryan was on Malcolm, a tall gray and white horse. Ruby was the most responsive horse I’ve ridden at a ranch although it might have been the pointers Brent gave me about relaxing in the saddle and reining her correctly. I am usually uncomfortably tense on a horse even though I’ve ridden a number of times. This nervousness may be because I was thrown off several horses growing up, but by the end of this long ride, I was extremely comfortable. I don’t know if it was Ruby, Brent or the misty green Wyoming countryside, but this was an amazing ride. We headed out across fields, through a herd of cows and across several bodies of water. Ryan, who was likely a cowboy in another life, was in heaven. Along the way, Brent told us stories about Wyoming and the ranch he married into. He has enjoyable anecdotes about guests who return every year, including a British couple who has been coming for 13-years straight. They visit ranches all over the United States but Vee Bar along with a ranch in Arizona are the only two they visited annually. We had dinner that night at the ranch. They are open to the public at this time of year and non-guests of the ranch can make reservations for a steak dinner. 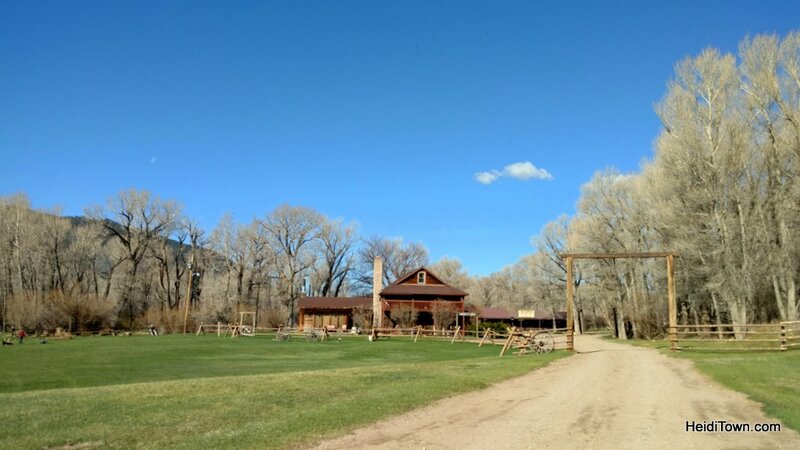 As families laughed together over heaping plates of steaming food and couples shared bottles of wine, dinner at Vee Bar Ranch was one of those authentic, live-in-the-moment experiences. After dinner, we hopped in the riverside hot tub and discussed our day. The water of the Little Laramie River splashed by and the stars shone brightly above. 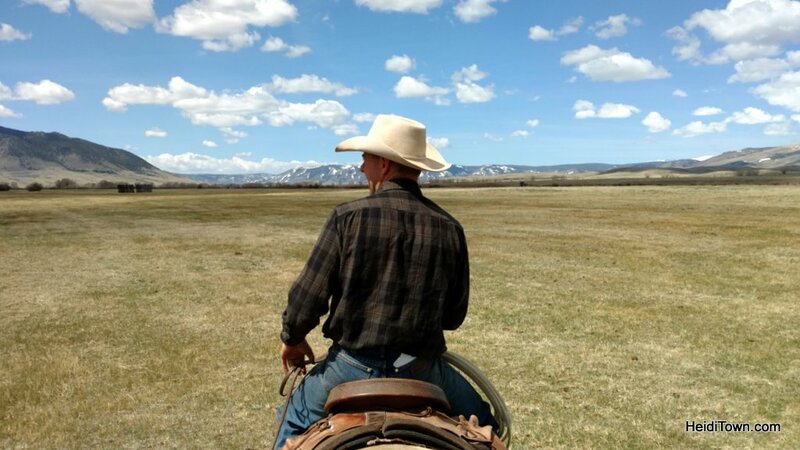 May is a great time to be in Wyoming if you don’t mind cool evenings. The next morning we awoke to the sound of songbirds. Before we headed home to Colorado, I ate some of the best biscuits and gravy ever. Then we spent some time watching cow branding. 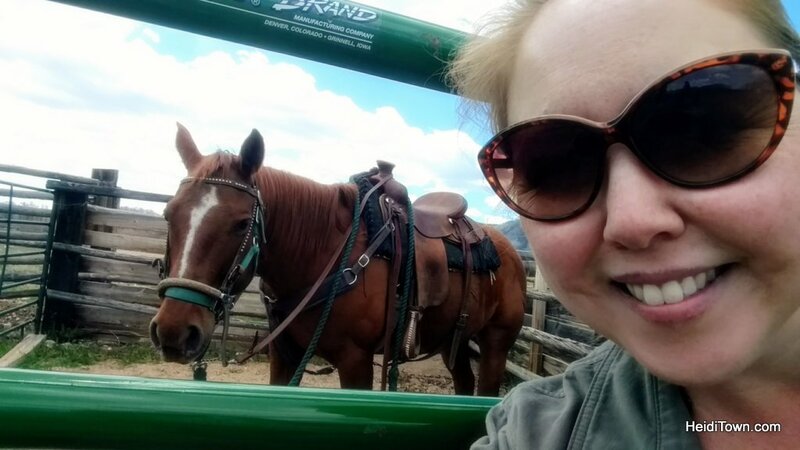 That’s right, we were there on branding weekend, which meant we watched as real Wyoming cowboys herded the Vee Bar cows into the corral, separated babies and mothers, not an easy task, and gave them the ranch brand. There was much mooing and carrying on as mamma cows are not at their best when separated from their babies. 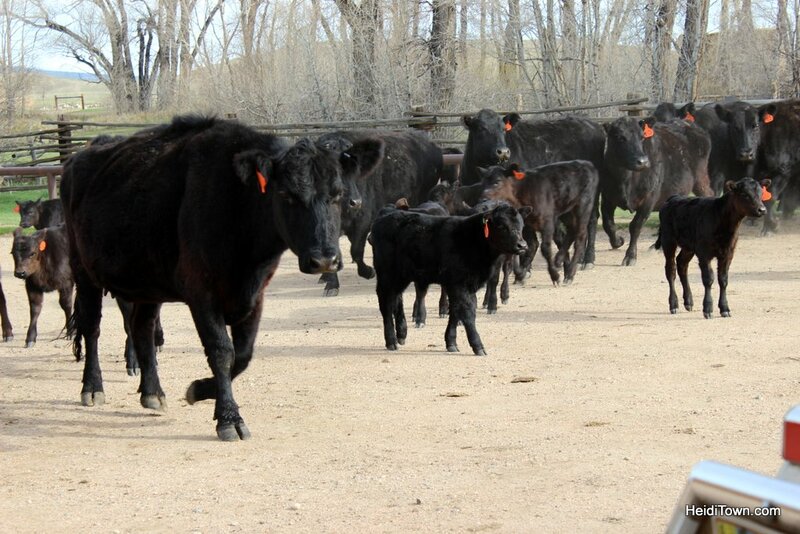 Herding the cows in for branding. I am hiding behind a very large semi-truck they were using to block the road. We couldn’t stay for the entire branding session but it felt like we were witnessing the real Wyoming because we were. This is what I love about this area. It’s an hour and twenty minutes from Cheyenne and just two and a half hours from Denver, but not only does it feel remote, it feels like taking a step back in time. I feel like this photo should be on one of those “Life is Good” t-shirts. 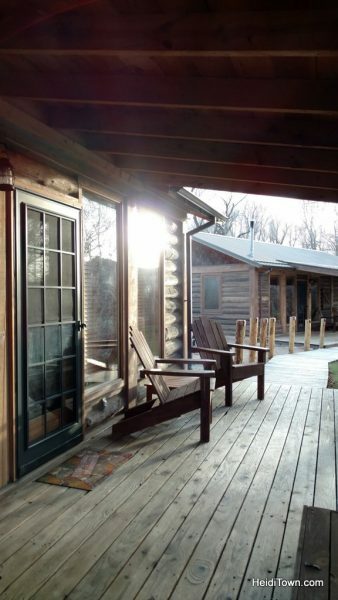 An experience at Vee Bar Guest Ranch is a true escape from the stresses of life. There’s no reason to hurry or worry. Everything is provided for you. Just be. 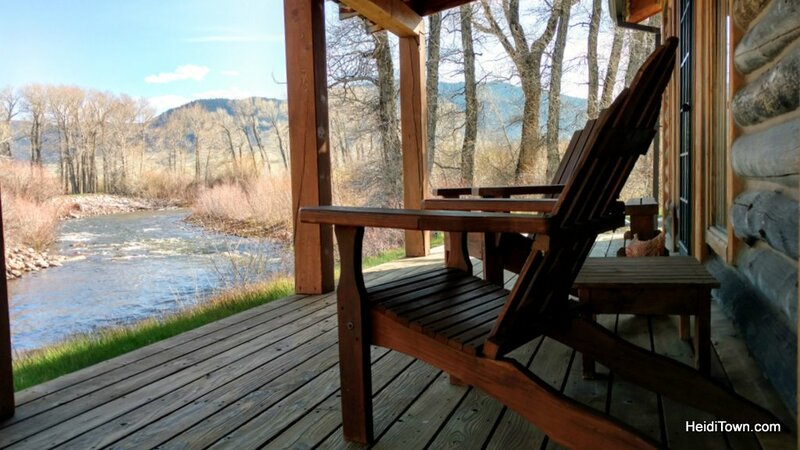 Whether you go for a week or just a couple of nights, Vee Bar is a wonderful Wyoming getaway. Thank you to Visit Laramie for hosting us.